It is very important to use sealants before the application of paint. Sealants bond the paint to the metal surface and without them the paint might just come away from the metal. But do your research and purchase the right sealant which is suitable for the type of paint you use. There are numerous options available for you and it would be a shame not to make use of them and improve the energy-efficiency of your home. Avoid coating the roof on your own unless you are an expert. Or else, you could do it incorrectly and cause lots of trouble later on like rusting or leakage. The presence of dirt and grime would harden the process of sealing. Hence, keep the roof’s surface neat and dry before coating it with sealants. 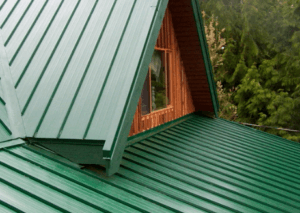 Most people falsely assume that once you have got the metal roofs painted, you don’t need to worry about up keeping any more. On contrary, the roofs require regular cleaning and you should examine them occasionally for any rough patches or damage so that you can make immediate repairs. By avoiding these mistakes, you can make the paint more durable and functional.